The United Alex Valentino pedals have a classic design but use modern technology. These are a nice slim low profile shape made with a Nylon/Fiberglass blended material to be stronger then just traditional Nylon pedals. They also have a heat treated chromo axle for superior axle strength. 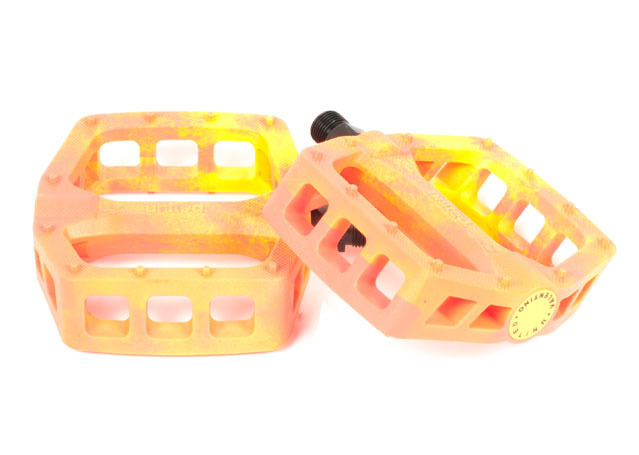 With the fine micro knurling and hexagonal pins these pedals offer excellent gripping for all riding aspects. A pair of these pedals weighs only 12.8 ounces, and come in 9/16 only. 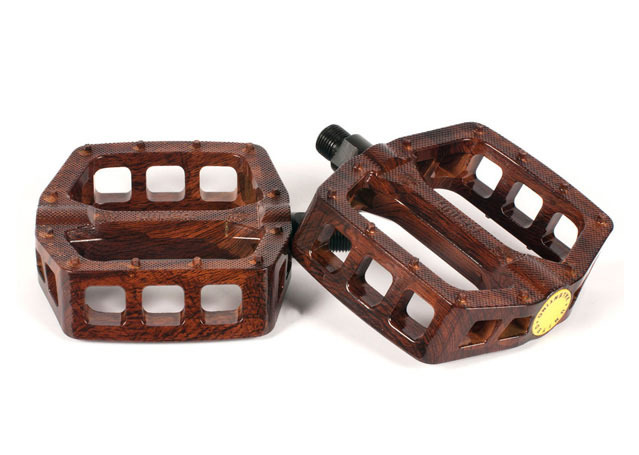 United Bikes Valentino pedal in woodgrain. United Bikes Valentino Tie Dye pedal. Special Pricing on Clothing & Shoes!! Much more in store! Lots of bikes on sale now!! Here’s a sampling!